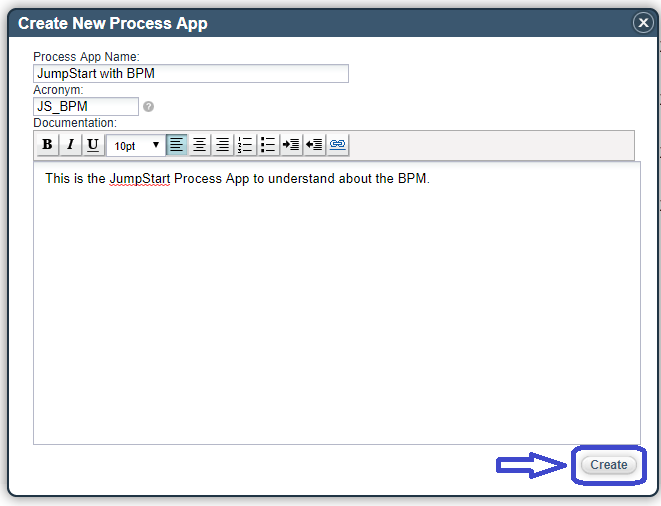 The first step in the actual hands-on is creating a process application in IBM BPM 8.6. 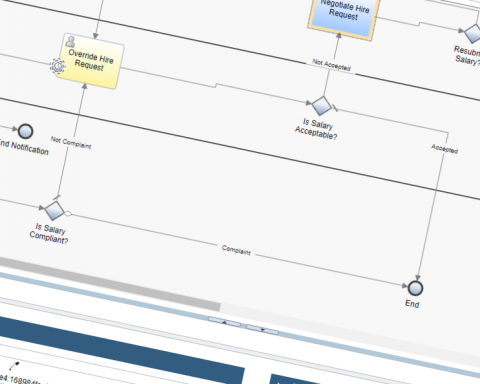 The IBM BPM 8.6 is the latest version released by February 2019. 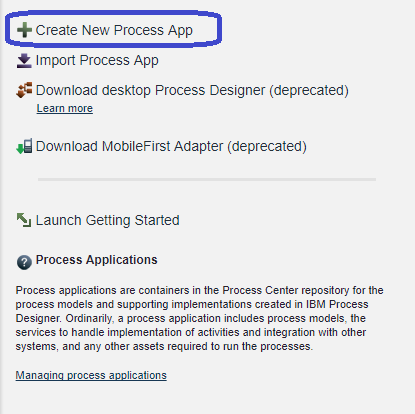 So let’s start by Creating a process application. 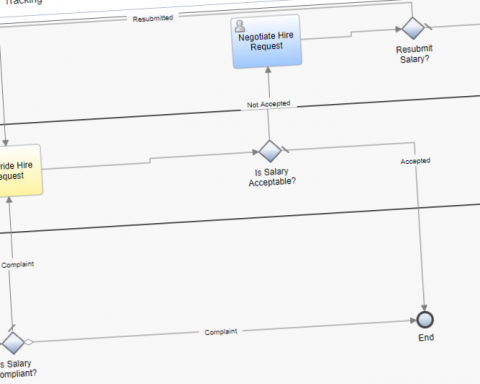 In order to create a process model in the business process definition (BPD) in the IBM Process Designer, there must be a process application to contain the model. 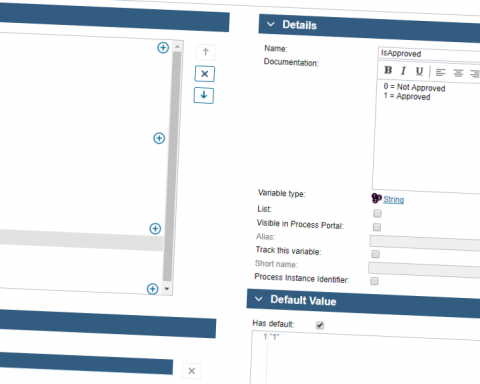 Using the Process Center, we can easily create a process application with all the appropriate information to enable the creation of a process model or BPD. Once our VM or the BPM 8.6 environment ready, we would have to start three server configurations. After logging on to the lab environment, start the Deployment Manager profile, the Node Agent profile, and the Deployment Environment. Now simply login by using your credentials, you’ll have our Process Center page at the front of you. Now at this moment, we’re standing at the starting line. A fundamental benefit of the IBM Business Process Manager is that the process is always executable. Within a few moments, our process application will create and will be listed in our list of process apps. 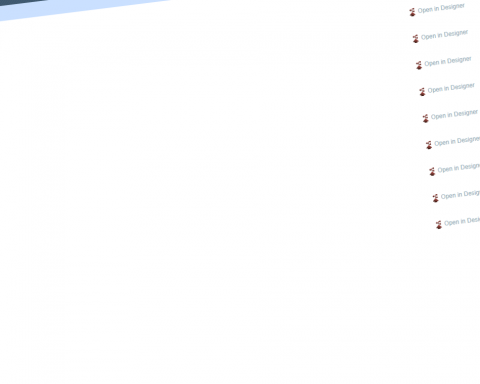 Here we can update all the required settings that we need to do.